The Children’s Advocacy Center of Suffolk County (CAC) relies on strong partnerships with community-based agencies to ensure CAC-referred families have access to the specialized mental health resources they need. In addition to Child and Family Traumatic Stress Intervention (CFTSI) services offered at the CAC, families are also provided information about mental health resources in the community. Suffolk County is fortunate to have numerous agencies providing evidence-based trauma treatments. CSTR partners convene monthly at the CAC to focus on defining, strengthening and disseminating best practices in providing specialized services to children who have been sexually abused and their families. 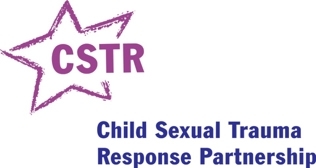 The vision of CSTR is that all victims of child sexual abuse and their families have timely access to specialized mental health treatment in order to heal from the effects of abuse. CSTR unites community mental health agencies to identify the unique mental health service needs of child sexual abuse victims and their families and enhances a service delivery system to meet those needs. Improving the referral process and effective engagement of families in specialized services.